911 Restoration Atlanta is the most accessible water restoration Marietta team on the market for people in need of restoration work. 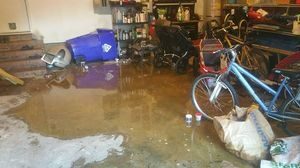 Marietta residents experience an unprecedented amount of rain, hail, and storms, which makes homes susceptible to water damage due to roof leaks. And the effects are not isolated to the seasons, as wear and tear occurs all year long. When it comes to facing roof leaks and repair, we want to be by your side delivering you a fresh start. Call 911 Restoration Atlanta if you are in need of a second chance. A roof leak occurs when the integrity of your shingles and building materials is compromised by standing water, mold, or excessive weight. Hopefully by outlining the causes for you, then you will be able to take the proper preventive measures to avoid possible damage. In the winter the home is most at risk for ice damming. That is when snow pack melts close to the center-inside of the roof due to the heat radiation off from the home. As it melts it moves down to the farther edges, where insulation is least present. Once there is refreezes. After this happens a couple of times an impromptu dam forms, and once this happens the melting ice begins to pool. This puts stress on the roof, which can lead to sagging and holes. To avoid this, we recommend clearing the snow from your roof when you can. After that, rain is the other most frequent cause of damage to a roof. When gutters are stuffed up with leaf litter, it does not allow water to drain off. That allows water to pool and mold begins festering. A simple way to prevent this is by clearing your gutters after the fall. Moreover, once you have perfect drainage the next thing to look at is where the downspout leads to. It should direct water at least 3 feet away from the home. Then there is the issue of hail. There is not much you can do when it comes to that, so in the event of an accident (in regards to any matters) you can call us. We will be out there fast. We have the know-how to get you back on your feet. 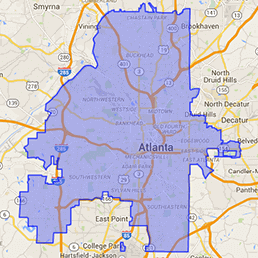 Call 911 Restoration Atlanta if you are in the Marietta area experiencing water damage. In the summer a Marietta client was in a need of water damage restoration due to roof damage she left unchecked. In the winter she noticed a roof leak, and she did the simple bucket-pickup, and she was planning to fix it later. However, during spring she was having constant headaches. Then, later on in the year she found signs of mold in her attic. The dry wall below was crumbling, and then in the space there was a pungent smell. She knew it was mold because of the headache she just didn’t know what to do about it. Thankfully, she called us, and we were out there fast with a free water damage estimate. See, water left unchecked can allow mold to fester within the home. Therefore, our IICRC certified techs has trained to be able to handle it. 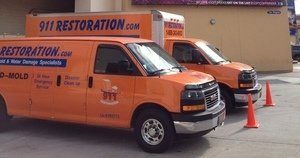 Our mold remediation is a blend of water damage restoration and microbial decontamination, therefore making it thorough. We remove the fungal infestation and then resolve it by fixing the underlying cause of the damage. Therefore, we got the mold out, and then patched the roof up. The best part was that mold remediation was covered under the insurance coverage because it was due to water damage to the roof. If you are in need of a fresh start, give our water damage Marietta team with 911 Restoration Atlanta a call immediately and we will help to make your home like new again in no time today!